RADAR means Radio Detection and Ranging. It is a system used to detect, range and map objects such as aircraft and rain. It can also be used for detect, spacecraft, ships, guided missiles, weather formations, motor vehicles, terrain and guided missiles. 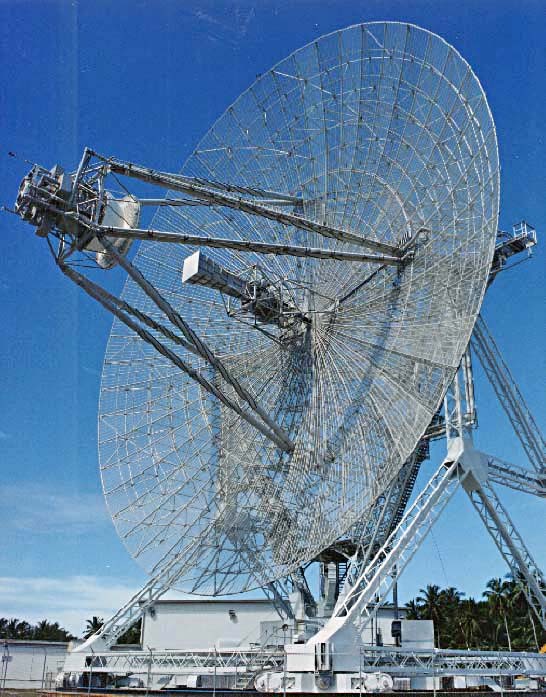 Strong radio waves are transmitted, and a receiver listens for reflected echoes. The reflector can be located and sometimes identified by analyzing the reflected signal. Even though the amount of signal returned is small, radio signals can easily be amplified and detected. A radar system has a transmitter, which generating electromagnetic waves in the form of radio or microwaves domain, a receiving antenna, a transmitting antenna, and a receiver and processor to determine properties of the object(s). Radio waves (pulsed or continuous) from the transmitter reflect off the object and return to the receiver, providing information about the location and speed of the object. During Second World War, Radar was secretly developed for armed forces which are used by some countries. It can operate in darkness, haze, fog, rain, snow and capability to measure distance with high accuracy in all weather conditions. Recently, radar are used in air defense system, ocean surveillance systems, target locating systems radar astronomy, antimissile systems, marine radars to locate landmarks and other ships, aircraft anti-collision systems, outer space surveillance and rendezvous systems, meteorological precipitation monitoring, altimetry and flight control systems, guided missile, ground-penetrating radar for geological observations, and range-controlled radar for public health surveillance. High tech radar systems are related with digital signal processing, machine learning which has ability of take out useful information in very high noise levels.